From the first time the matchup was made, UFC color commentator Joe Rogan knew things were going to go bad for CM Punk when he fought Mickey Gall. The matchup was made after the former WWE superstar signed a deal to join the UFC and then just over a year later he faced off with Gall, who was only 2-0 in his career but vastly more experienced in his martial arts journey. What resulted is exactly what Rogan predicted as Gall took Punk to the ground and absolutely mauled him before finishing the fight at just over two minutes into the opening round. 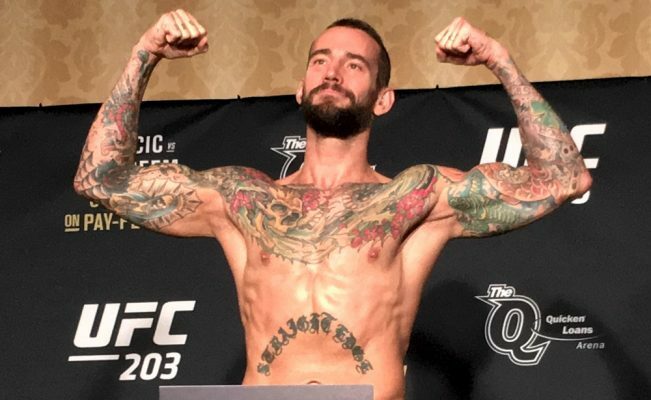 Punk will make his second appearance in the UFC on June 9 when he faces Mike Jackson, the fighter who Gall defeated to earn the matchup with the former professional wrestler back in 2016. “He’s now fighting a fighter who’s commensurate in talent and there’s nothing wrong with being a beginner in martial arts,” Rogan said on his podcast when speaking about Punk. “But there’s something wrong with thinking you can be a beginner and fight Mickey Gall. It was a foolish venture. My approach to it was this is going to be a very good lesson for people who are fans of positive thinking and they think that’s enough. That s–t is not enough. If you weight 110 pounds, you can positive think your way to the bank, Francis Ngannou’s still going to punch your brains out. There’s just no way around it. Perhaps the worst part about that first fight with Gall was Punk being set up to fail against an opponent with a much more refined and developed skill set. Rogan isn’t quite sure who told Punk that facing Gall was a good idea but he knew exactly what was going to happen before the fight even started. “What was really weird watching him walk to the cage was he was approaching it like a pro wrestling fight. Cause he had done so many of these pro wrestling matches that he was walking to the cage with pro wrestling mannerisms and everything and I was watching this and I did like an internal head shake. Like oh f–k,” Rogan said. As far as Punk’s second chance to get a win in the UFC, Rogan is on board with the matchup against Jackson, who he believes is similar in skill set to the former professional wrestler turned MMA enthusiast. That being said, Rogan still feels like the fight taking place on the main card of a UFC pay-per-view is lunacy, but he also knows that Punk is probably getting paid a lot of money and there’s no where else the promotion could put him. “It shouldn’t even be on the ‘Tuesday Night Contender’ show. It should be in some amateur event somewhere,” Rogan said. “That’s really what they are. They’re guys learning how to compete.